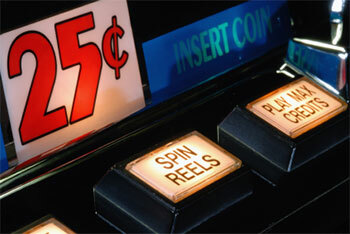 The first thing to say about betting strategies when applied to online slot machines is that they are as likely to work as betting strategies when playing any other game where gambling is involved; that is to say they won’t work in the long run but it’s always interesting to discuss the various creative methods out there. This article was prompted by a recent review we wrote of a game called The Lab (review) by Elk Studios which includes the facility to automatically bet in a certain way which will follow predetermined strategies. Elk Studios names these strategies Jumper, Leveller and Booster so we’ll also use those titles for the purpose of this article. This is so named because your betting is increased on each win, unlike a method such as Martingale in which betting increases after a loss. Specifically, your bet will increase by 2x on each consecutive win up to a maximum of 10x the original bet. If you lose the betting is reset to the original amount. The theory behind the Jumper strategy is that you collect prizes while on a winning streak but minimise your losses by resetting to your original bet on a loss. The flaw is that there’s no such thing as a winning streak; additionally you may find yourself betting outside your budget/comfort zone after three or four wins on the trot. Reversing the Jumper strategy, the Booster will increase the bet by 1 level on each loss up to a maximum of 10x the original amount. A win will reset the bet. This is perhaps suitable for those lower rollers because the bet level increases very gently and your bankroll (and therefore your playing time) will last longer. Of course the flaw remains that this is a pot luck game and there are no such things as winning streaks. A little more complex, the Leveller increases the original bet by 2 units after five losses in a row up to a maximum of 10x the original amount. A win resets the bet to the starting level. This is really only any use if you’re playing a high variance slot and you’re unlikely to see a win for a number of spins. Playing any other slot will result in very few changes in the bet level.